Allows easy search, local and remote consultation and sharing of documents, video, music and photos, saving them at a superior level of security. Anyone, for passion or work, that has a requirement to store securely, share privately or publicly any quantity of multimedia content or documentation. Whatever your needs, there is a KinoServer right for you. You can choose from our configurations based on the Kino-4 or Kino-6R, or decide with us the various component characteristics in order to construct a bespoke KinoServer as you want. To have at your disposal in any place and at any time your own video or music collection, your photos and your personal or work data. A NAS, in the same price range, has a much lower hardware specification. 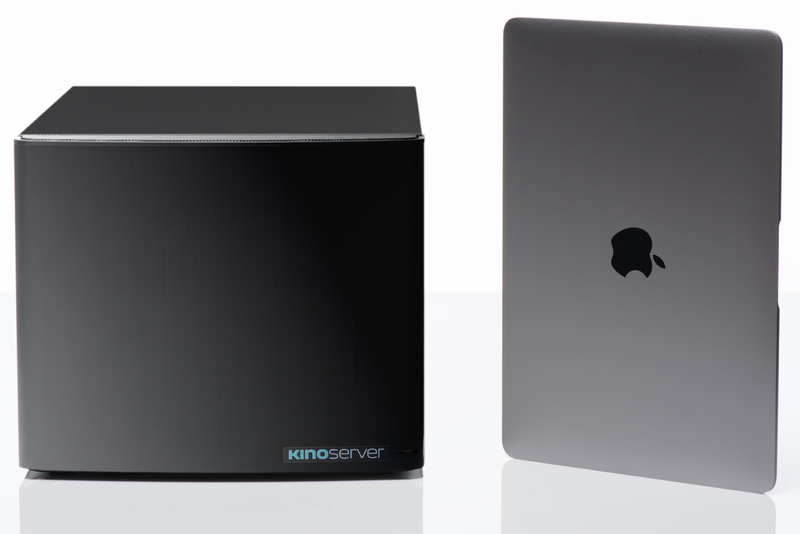 KinoServer, thanks to its superior hardware and software, allows multiple audio-video streaming and transcoding. Your KinoServer can be monitored with LiveMonitor which, thanks to the intelligent HealthTracker algorithm, constantly detects and interprets the vital parameters of your KinoServer. Your data can be further secured with the ZFS file system.